Henshaw, George R., head-of-household, age 30, born in Arizona; father born in Missouri; mother born in California; first marriage, married 3 years; occupation: merchant, general merchandise; rented home. Henshaw, Della E., wife, age 23, born in Missouri; father born in Missouri; mother born in Maryland; first marriage, married 3 years; no children; occupation: clerk, mercantile. 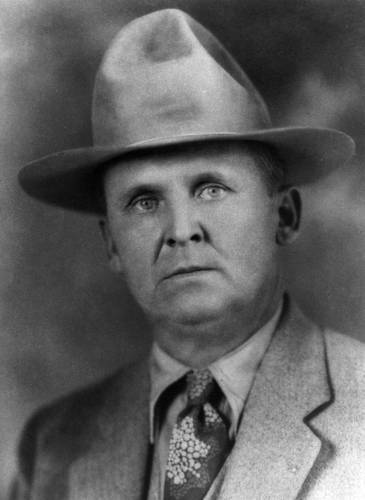 Henshaw, George R., head-of-household, age 40, born in Arizona; father born in Missouri; mother born in California; owned home; occupation: under sherrif, County Cochise. Henshaw, Della H., wife, age 33, born in Missouri; father born in Missouri; mother born in Maryland. Henshaw, G. Roland, son, age 8, born in Arizona; father born in Arizona; mother born in Missouri; attended school. Henshaw, Donna Gay, daughter, age 4, born in Arizona; father born in Arizona; mother born in Missouri. Henshaw, Harold H., son, age 2 years 11 months, born in Arizona; father born in Arizona; mother born in Missouri. Henshaw, George, head-of-household, age 50, born in Arizona; father born in United States; mother born in California; first married at age 27; owned home ($2000 value); radio in home; occupation: Sherrif, Cochise County; not a veteran. Henshaw, Della H., wife, age 43, born in Missouri; parents born in Missouri; first married at age 19. Henshaw, Roland, son, age 19, born in Arizona; father born in Arizona; mother born in Missouri; attended school. Henshaw, Donna G., daughter, age 15, born in Arizona; father born in Arizona; mother born in Missouri; attended school. Henshaw, Harold H., son, age 13, born in Arizona; father born in Arizona; mother born in Missouri; attended school. Henshaw, Carrol M., daughter, age 8, born in Arizona; father born in Arizona; mother born in Missouri; attended school. 1920 census, Tombstone, Cochise County, Arizona; roll T625-46, ED 16, page 5A, line #4, dwelling #97, family #102. 1930 census, Tombstone, Cochise County, Arizona; roll T626-56, ED 65, page 3B, line #4, dwelling #97, family #102. 1900 census, Township 1, Maricopa County, Arizona Territory; roll T623-46, ED 36, page 5B, line #58, dwelling #101, family #101. 1910 census, Bowie District, Cochise County, Arizona; roll T624-38, ED 15, page 34A, line #30, dwelling #9, family #9.
http://abish.byui.edu/specialCollections/fhc/newMarriage/searchForm.cfm (vol. 4, pg 354).